Bradyen Shostack was our first Student of the Week in Mrs. Lehnerer’s room. 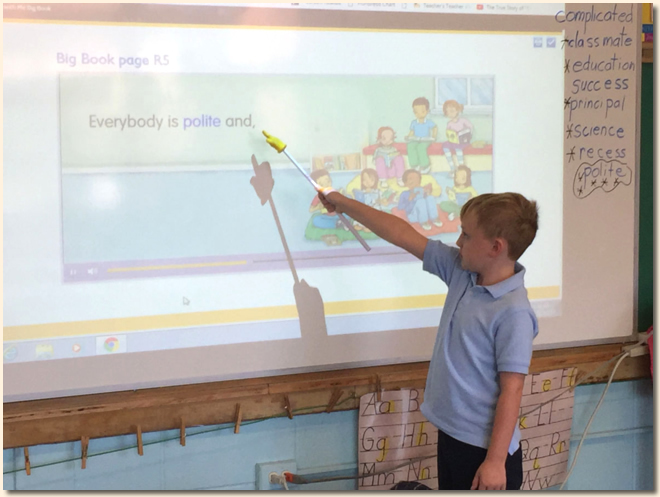 He was using the Bright Links to introduce a song about nouns and verbs in room 14. 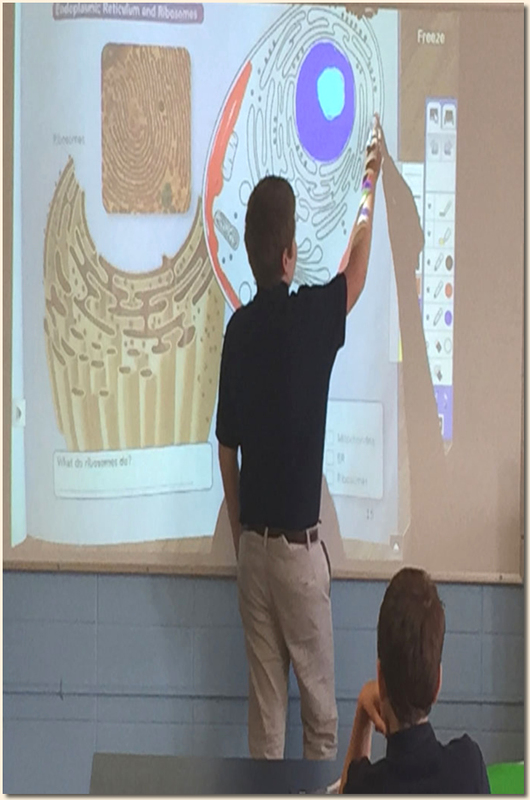 Brendan Kenny working on the cell’s cytoplasm using the Bright Link in Science Class. 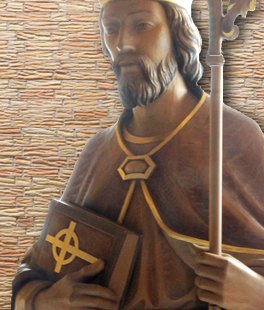 Our 7th and 8th grade students attended a leadership retreat at St. Rita High School. they may become some day. 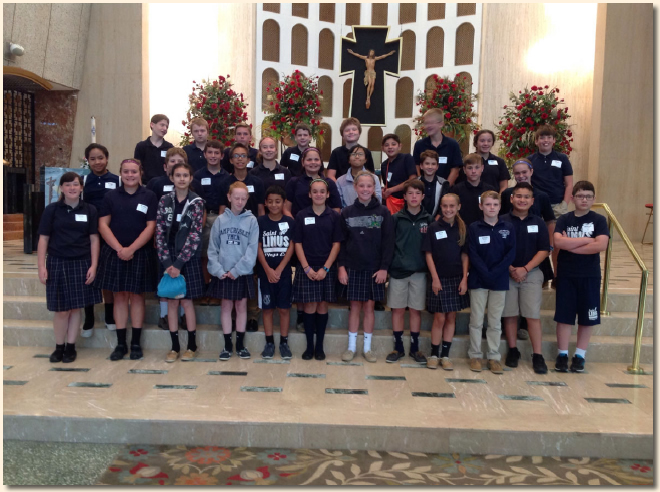 Here are the 7th graders in the beautiful St. Rita Chapel. and honored her with flowers, a song and a prayer. 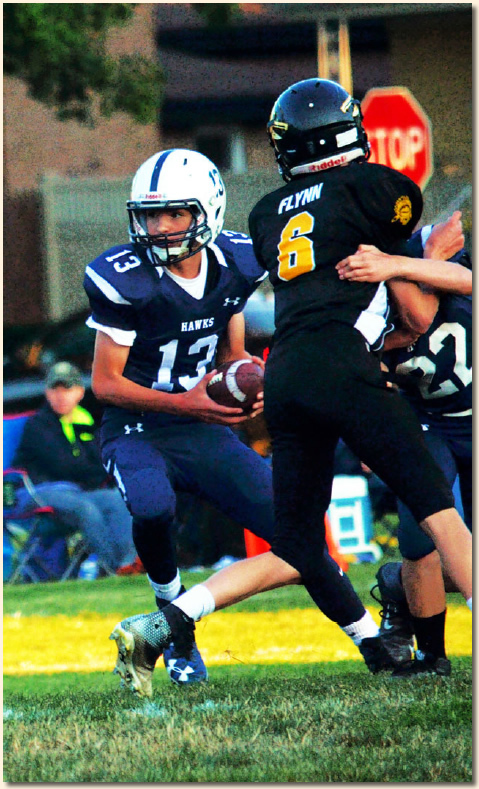 during our Homecoming game on Saturday! 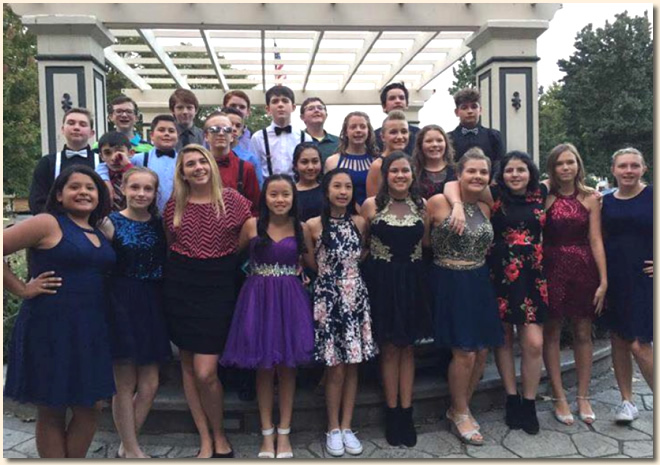 Here are our 8th graders posing for pictures before the Homecoming Dance! 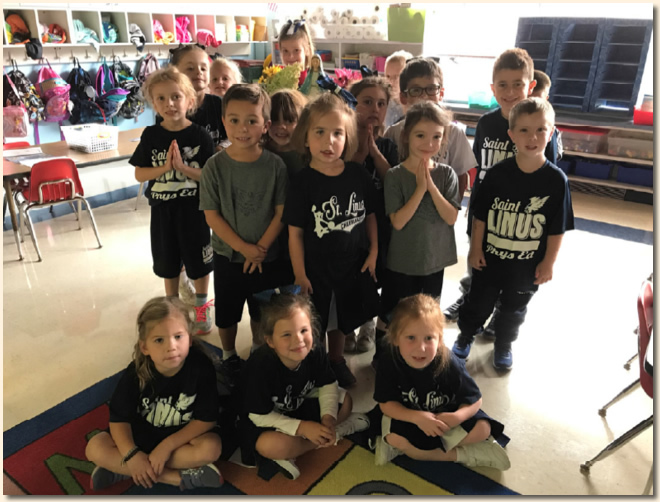 the dance and was capped off by the football game on Sunday! It was a busy but fun week! 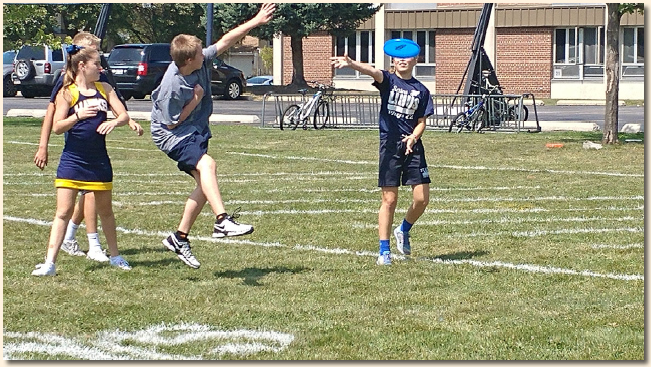 7th graders enjoying the beautiful weather playing Ultimate Frisbee during PE class. Our PE classes are fortunate to be able to use our outstanding football field on nice days for PE. 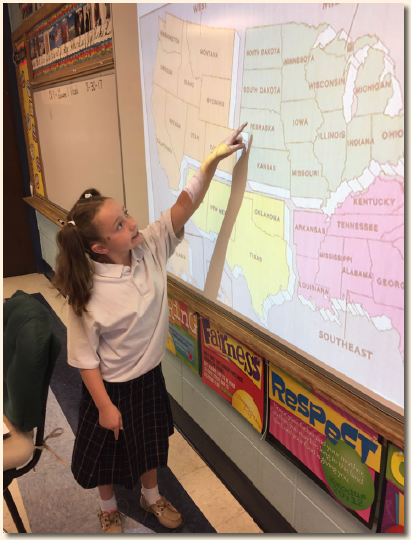 Izzy McGrane is learning about the regions of the United States in 4th grade Social Studies. Here she is pointing out areas in the Midwest on the Bright Link! 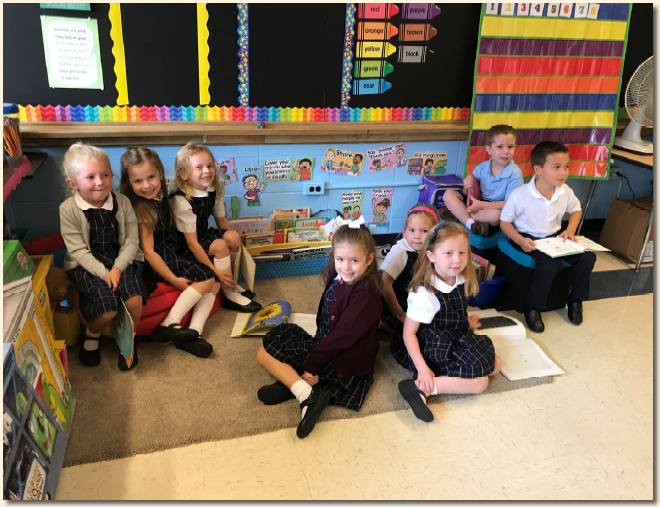 Here are our Kindergarteners from Room 16 enjoying reading books in the reading corner. The students look so grown up in their uniforms.